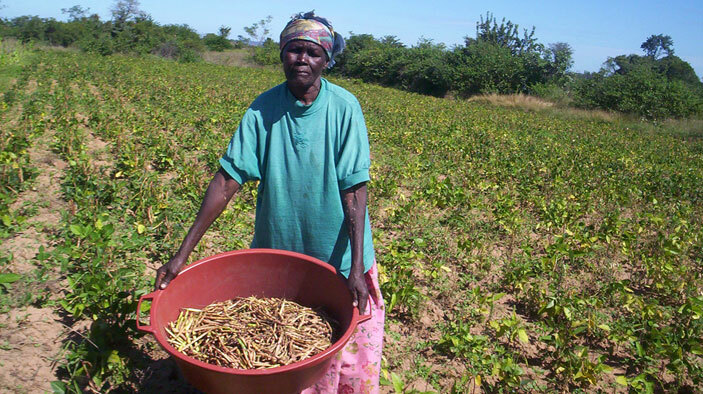 Until a decade ago, Zimbabwe’s agricultural sector was flourishing. Amid the country’s economic decline, the government’s aggressive land reform program essentially dismantled the large-scale commercial farming sector, drastically reducing national productivity and resulting in the country becoming a net importer of food. The decline in demand from large-scale commercial farming and the mass exodus of skilled management and labor led to the deterioration of rural market infrastructure and the decline of the extension and agricultural education system. DAI supported the private sector-driven revitalization of Zimbabwe’s agriculture economy. To achieve these goals within a complex and changing political landscape, DAI worked through existing institutions and with the re-emerging private sector to identify needed reforms in the investment environment to promote competitiveness. The program relied heavily on supporting local experts and institutions, tapping into the Zimbabwean diaspora in South Africa, and incorporating local bodies directly into the planning, oversight, and monitoring of program interventions. Strengthening representative institutions—to support the development of private sector engagement in policy and regulatory reform that increases competitiveness; facilitates a national dialogue on agribusiness competitiveness; and strengthens consensus of agro-industry organizations on the way forward under the Union Project Trust—an apex organization for farmers in country—that is the host of the program. Improving market infrastructure—by providing direct technical assistance and grant support to key private and public-private partnership institutions that transact, arbitrate, or regulate market information and business services to the agro-industry, such as the Zimbabwe Association of Microfinance Institutions and the Commercial Arbitration Center. Improving agrobusiness skills, services, production, and productivity—by enhancing the quality and quantity of vital business and agro-extension services to key participants in agrobusiness supply chains (from farm gate to consumer) through cascaded business service provider training-of-trainer programs and targeted grant disbursement. Commissioned 20 studies in support of evidence-based advocacy by farmer and agribusiness representative bodies. Facilitated 17 policies, regulations, administrative procedures to be reviewed and approved for implementation, and created a public database of 306 regulations. Facilitated GlobalGAP Farm Assurers training and implementation guide. Reestablished horticulture and livestock market information systems that provide domestic information and market and price trends from nearly 600 horticulture and livestock players. Developed websites for eight farmer and agribusiness groups to improve communication with members and service providers. Hosted more than 40 public-private dialogue forums that addressed assessment findings, validated regulatory issues, and garnered support for addressing constraints. Trained 104 female and 170 male leaders of farmer organizations in governance, service provision, advocacy, environmental management, and gender equality. Increased the profitability of 511 agricultural and food security-related firms. Facilitated cascaded training in “Farming as a Family Business” for 11,274 enterprises covering all eight provinces.